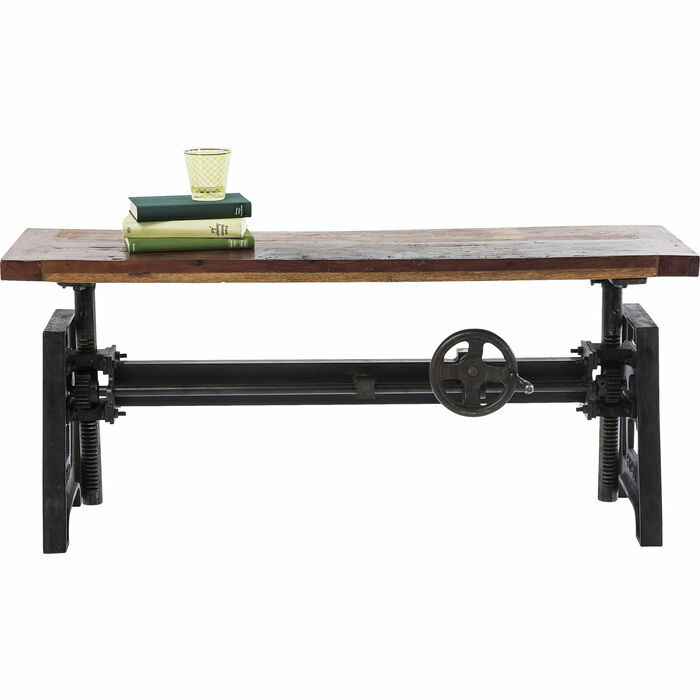 Just like time travel. 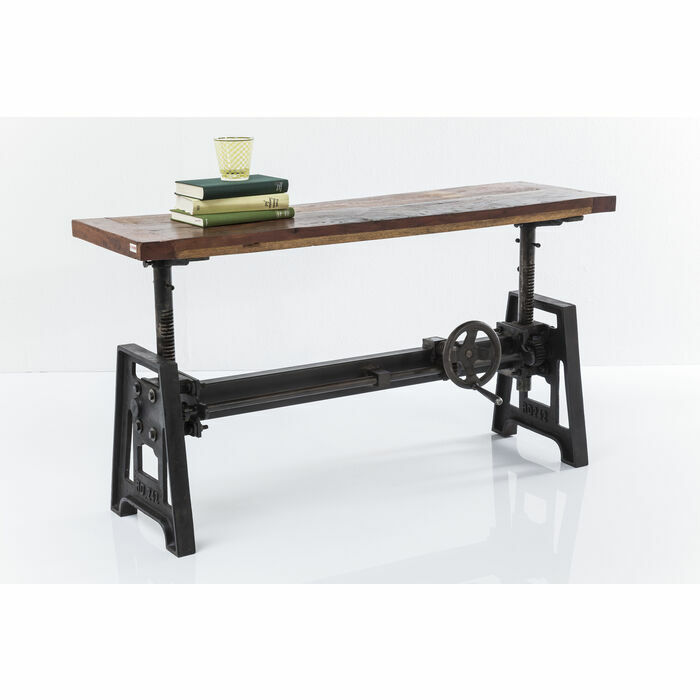 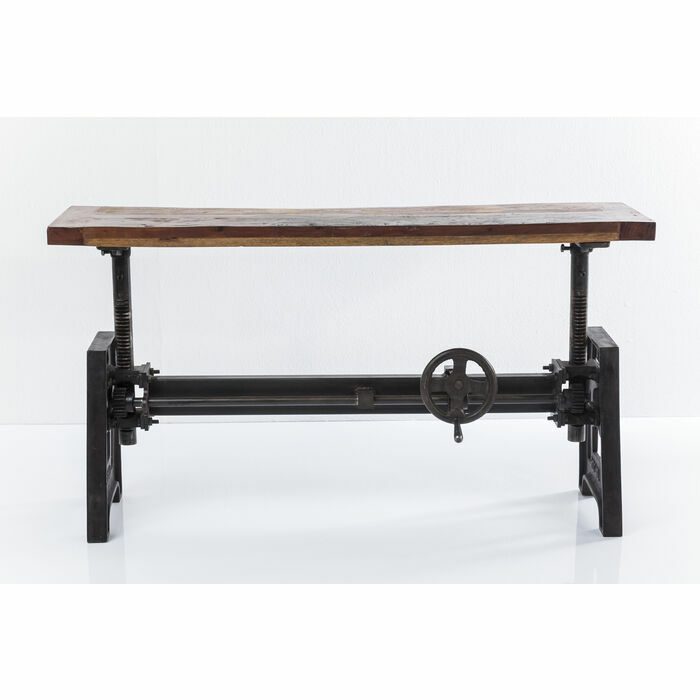 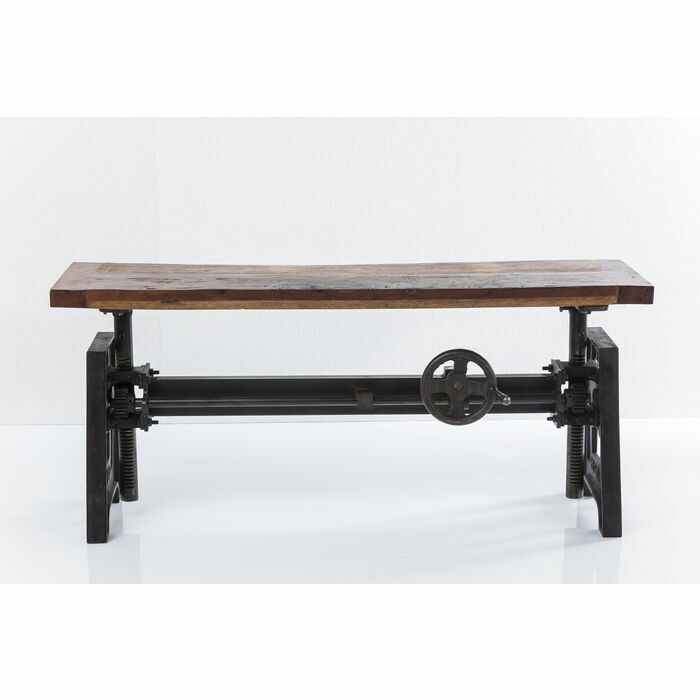 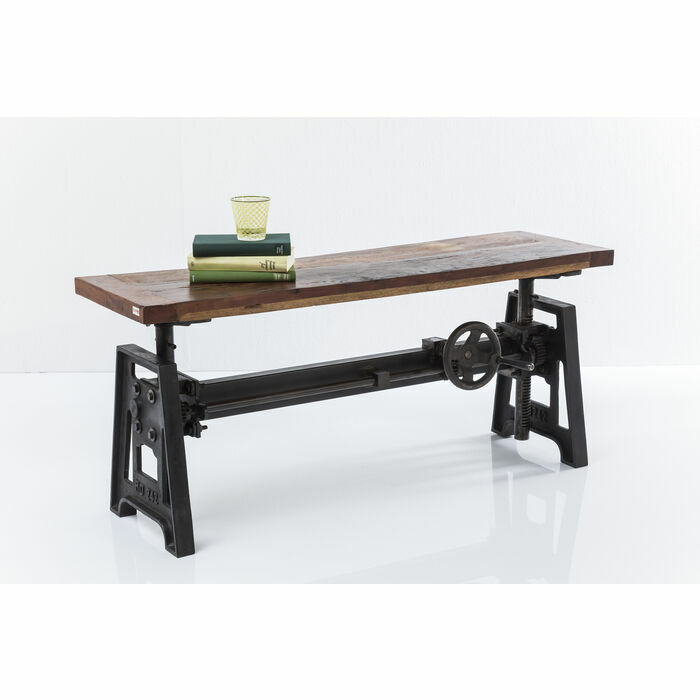 This bench from the Steamboat series makes an impact with its rustic industrial charm and well thought-out functionality. 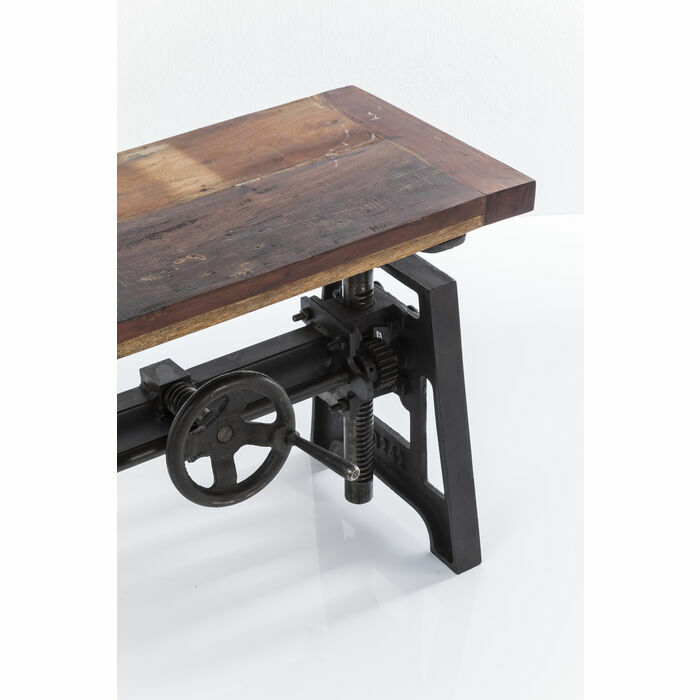 Visible details such as the rotary wheel and winding mechanism, as well as the deliberate vintage traces on the steel frame underline the unique character. 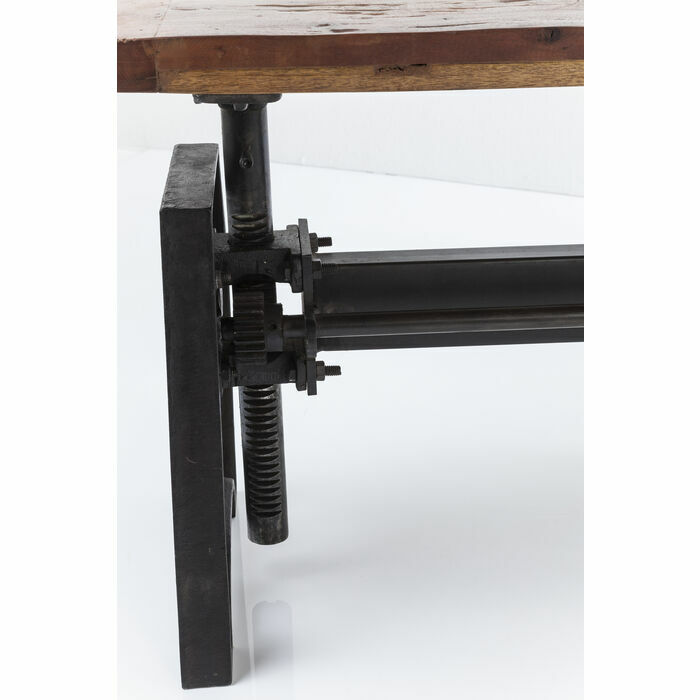 The seat is made of recycled waste wood and can be adjusted in height from 50 to 69 cm by means of the rotary wheel. 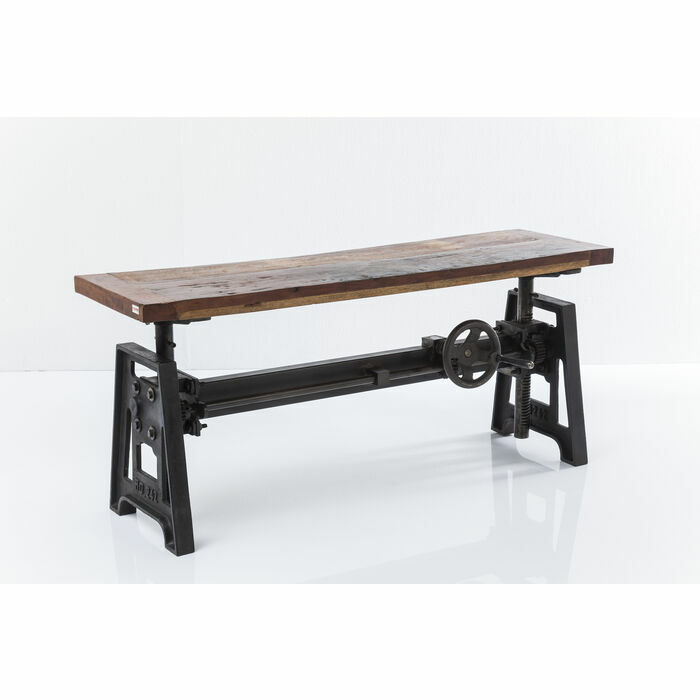 A matching dining table is also available.